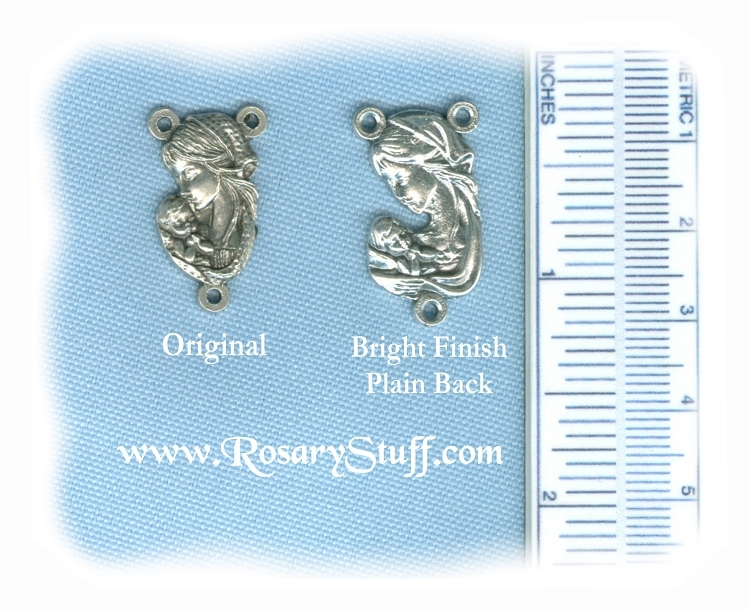 Italian silver plate center featuring the Virgin Mary holding Baby Jesus on front and a plain back. Sized at 3/4 inch tall (not including bottom loop) by a little over 1/2 inch wide. This is the newer version of this centerpiece.